F’ing hell, just watched the highlights after saying I wouldn’t. The missed chances in this game defy belief. They didn’t even show Kelly’s free header. MacArthur is now the not so proud owner of one of the most ridiculously comedic misses I have ever seen. 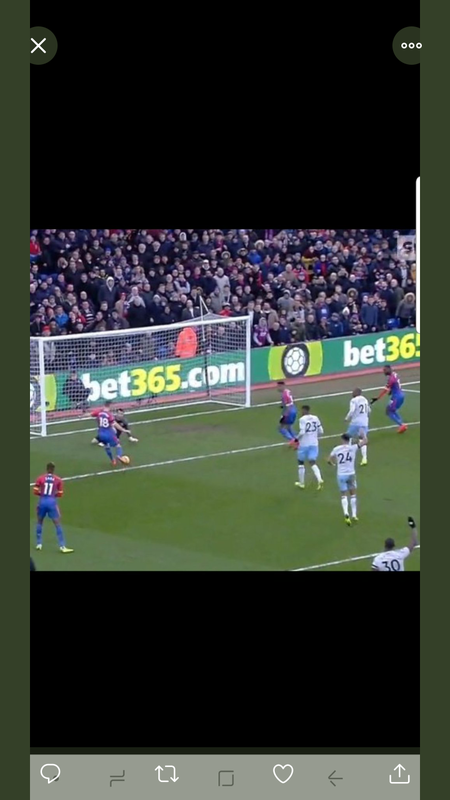 Clean through, no defender within 10 yards of him, keeper doesn’t charge him, PVA and benteke square for a tap in, and he somehow manages to f it up. It’s criminal really, a professional footballer has to score that 99 times out of 100, or square it for the tap in. It’s simply not good enough and somehow it has to improve. We need a player on the ball in that position, bearing down on goal with no defender within 10 yards, who can bury it or square it, like I said, 99 times out of 100. It’s as simple as that really, could be that player, or could be another one, but we need the player in that position to make a goal happen, we cannot let that chance go by without scoring a goal. Yes, and that's why Mac needs to be on the bench for the next league game. If he can't tap that ball in, I'd rather start someone else in the next game. With the depth of our bench, Roy needs to start pushing accountability. If you fail that badly, you take a seat and someone else gets a chance. Totally agree. Squaring the ball to a teammate who has an open goal tap in is one of the basics of the game. Wtf was Jimmy Mac thinking? Whilst the miss was a terrible one, I try to look at the positives from it. The composure he showed before taking the shot was brilliant, he took his time, sat the keeper down and tried to lift it over him, if he scored it would have been a great goal but unfortunately he’s dragged it whilst trying to lift the ball. All players miss sitters, the best finisher in the league and possibly the world (Aguero) missed an even easier chance yesterday afternoon. It happens. Not seen it mentioned anywhere, but think Martin Kelly deserve special mention. Every times he comes in, he is doing a great job with no fuss - after Alan P. almost ruined him on the back! A model professional who let's his feet do the talking - not his hairdresser! I make it the worst squandered scoring opportunity I’ve ever seen at Selhurst Park.